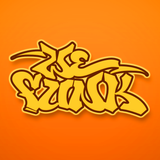 WEFUNK is a weekly radio mix-show, hosted and produced for more than a decade by Montreal DJs Professor Groove and DJ Static. Since our first show in 1996 we&apos;ve been selecting only the best in hip hop, funk & soul — from old to new, classics, rare gems, new releases and more. Tune in and experience hip hop&apos;s roots and future along with the rich legacy of funk, soul and jazz. Thanks for supporting WEFUNK for almost 20 years on the air!